The next upcoming Veterans Day is on Monday November 11th, 2019. Veterans Day is observed annually on November 11. It honors all veterans who have previously served in the United States Armed Forces. It coincides with Remembrance Day and Armistice Day which marks the anniversary to the end of World War I. 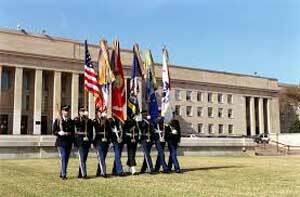 Armed Forces Day honors all men and women who currently serve in the United States Military. We honor those who have died serving in the military on Memorial Day. Veterans are honored and thanked for their military service to the United States. Since it is a federal holiday, government offices are closed and some schools and businesses may also close. The day is marked by flying the American flag half mast, parades, and a two minute moment of silence at 11am. If November 11 falls during the week, festivities might occur on the weekend so more people have an opportunity to attend. Armistice Day was first observed on November 11, 1919. It came into effect from an armistice between Germany and the Allied nations on the 11th hour of the 11th day of the 11th month of 1918. The end of World War I was officially recognized by the United States Congress in 1926 where Congress requested the president to issue a proclamation to observe November 11 as the anniversary of the armistice. The act was approved on May 13, 1938 making Armistice Day a legal holiday. In 1954 Congress changed the word "Armistice" to "Veterans" to honor all who served in the military.